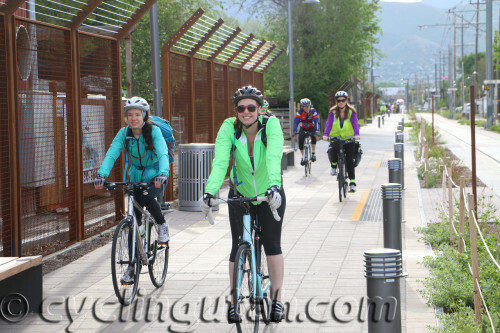 4-21-2016 – Salt Lake City, Utah – Cyclists and citizens are encouraged to volunteer to help clean up the S-Line Trail on Friday April 22, 2016 at 2 pm. The S-Line Trail is part of the PRATT Trail, and runs from Sugarhouse to 300 W at approximately 2300 South. PRATT, Salt Lake City and Salt Lake County are organizing the cleanup effort. 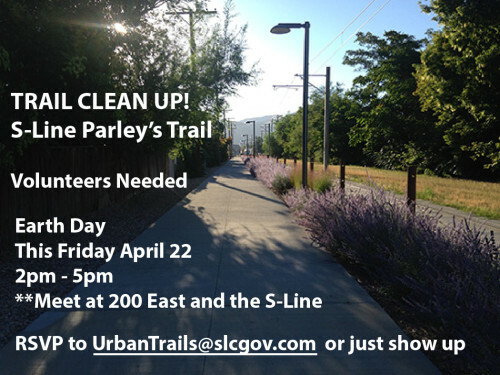 Earth Day S-Line Trail Clean Up: State Street to 500 East. Meet at 200 East and the S-Line at 2:00 PM this Friday, April 22, 2016. Finish by 5pm –Salt Lake County will provide cleanup bags and equipment, and will pick up the bags.